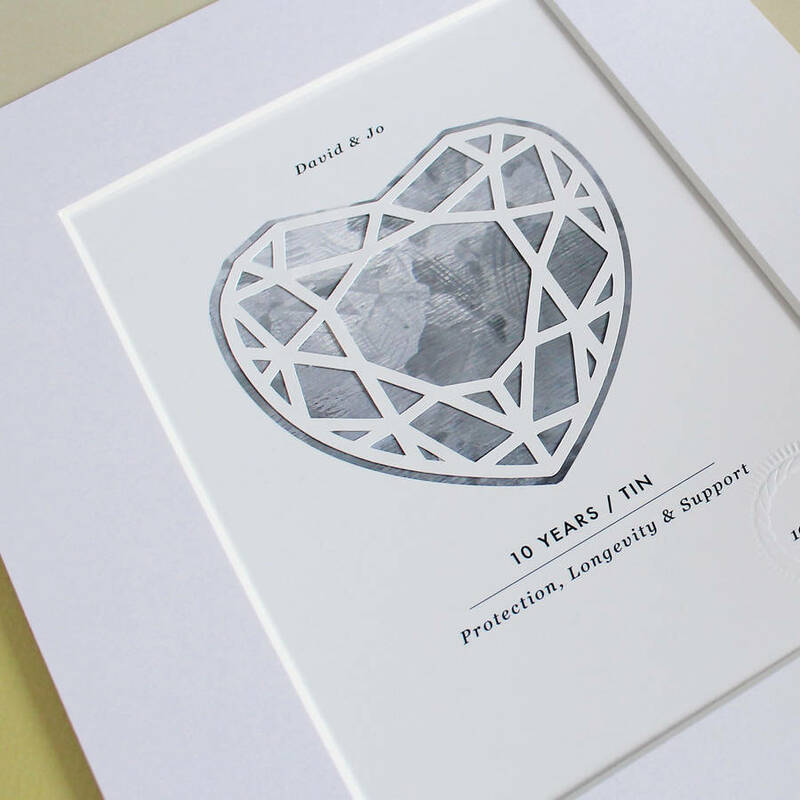 and each paper-cut is overlaid on a digital print of a tin heart motif. Each item features a hand embossed date of marriage and name of couple. 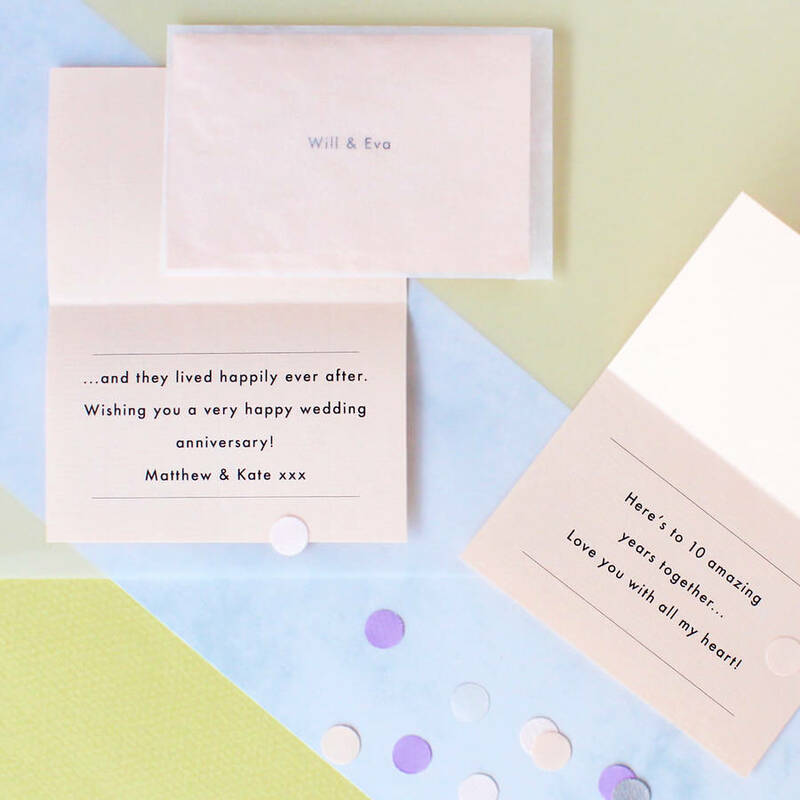 To customise your print, simply add names and wedding date to the option boxes provided. The print is mounted and presented in a 10" x 8" presentation pack, ready to be framed. A message can be included. Please select gift card option and enter message into the boxes provided. 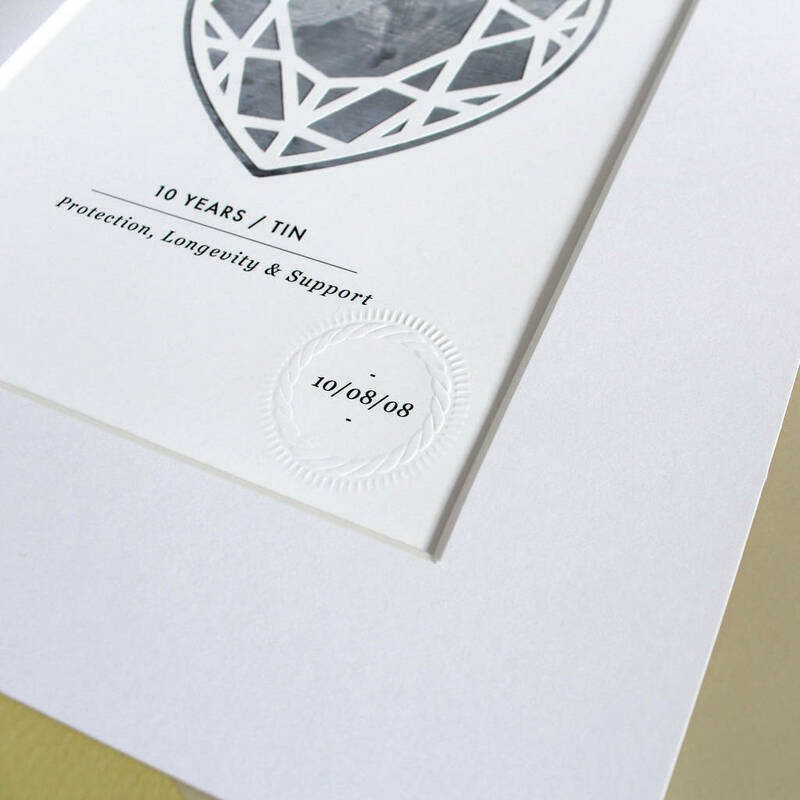 Gift cards are printed onto high quality, water marked pastel papers and come in 6 x 9 cm transparent, vellum envelopes. 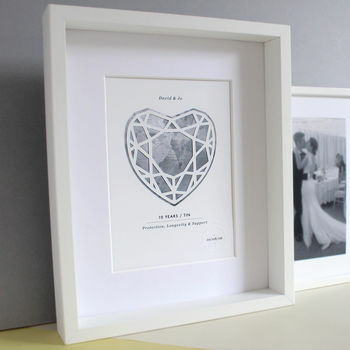 Please note: Framing service is not included in price - frame shown in product photographs is for display purposes only. Digital inkjet print, on Archival Matte stock using Archival pigment ink. Mounts are high quality, precision cut and acid free. This product is dispatched to you by Floss & Co..
More items from Floss & Co.